Ian White first got involved with Chesil Sailability through the local access group, coming on board to support our development with his wealth of experience of working with disability groups. He made it clear that getting on the water wasn't his thing, and as a former Paralympic Flame Ambassador, he was just wanting to see the legacy come to life. But no less than six months on, Ian is hooked on the wetter side of Sailability, as one of our sailors! In his own words... Ian's first "dry" outing with Chesil Sailability at our launch. 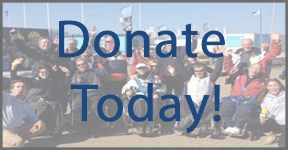 "Chesil Sailability has given me a great experience of sailing especially not having sailed before! It was also great having the chance to help with the group. I have to state that it was great the way the volunteers learnt how to get me out of my wheelchair using the hoists which are available at WPNSA, and then placing me into the boat. It is always been done with happy faces (including mine!). I experienced some strange angles out on the water, which did make me think "what I was doing?!" but then the instructor informed me that I did OK! When I got back I was still smiling! The volunteers then got me back into my wheelchair safety, even with some jokes. I have decided that I will be taking this further and hope next year I will get to sail solo which is my quest."